Holy Moses. When I tell you that this site has taken a huge weight off my shoulders, I am not lying. Peeps, in a departmentalized school, we are expected to teach Reader's Workshop, Writer's Workshop, Skills (ELA) and Spelling (Words Their Way) all in a 2.5 hour block each day. Yep. Enter Spelling City. It takes me about 30 minutes to enter the new sorts (lists) for each group and choose their assignments. I have 2 groups, and I LOVE being able to differentiate their lists AND their assignments. One of the things my parents have loved is the Spelling City app that is available on iPhones (and coming soon to Droid phones!). Not many of my kiddos have internet access at home, but many of their parents do have iPhones, iPads or an iTouch. If they download the app, the kids can log in and practice their list for the week in several different games. Not every game is available - there is a logo in the assignment dashboard (for teachers) next to games that do not work with the app. I learned my lesson during week one with Spelling City. While you can set it up so that students complete tasks randomly, I prefer for my kids to move through the assignments in a set order. I had several kids picking the Spelling TestMe options (spelling test) instead of the Practice Test at the beginning of each sort. It's an easy fix, but one I'd rather not stop to do every time one of my kiddos clicked on the wrong activity. I also love being able to look and see which words they missed on the pretest and how long it takes them to complete different activities. This is a huge help when I go to pull small groups for Word Work instruction. I know which words and patterns to spend more time on, and which words/patterns I can review quickly. Then there's the feature that made my heart SING!!! I do not have to grade a single spelling test ever again. EVER!! As soon as the kids complete the Spelling TestMe activity, their grades are recorded and display under the Test Results tab. When they complete a new test, it averages everything together. Can you hear me singing from here??? I know it might sound like something small, but being able to just print that out when it comes time for report cards is m-a-g-i-c-a-l!! 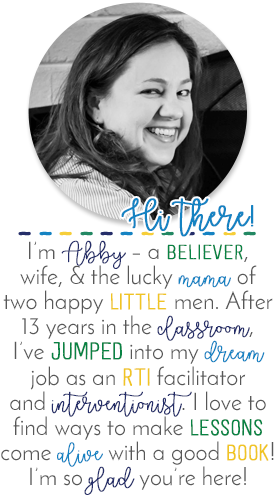 If a kid is struggling, I can also print the individual results out for RTI purposes or parent conferences. I can even show them how much time the student has spent utilizing the site and which words they miss repeatedly. Amazing! Finally, if you need a little more convincing before you purchase this for your own classroom or (even better) talk to your principal about purchasing it for your class/grade level/school, take a look at one of my cutie-patooties weighing in with her own opinion on Spelling City! Oh my word, she is fabulous! Love her! Great post!! I think you have me convinced! I use the free version, but I think I wi upgrade. Just shared this on my Five on the Fifth post. This could be the answer to my spelling woes! i just came across your blog today. I am in <3!!! I too use Spelling City. Parents, students, and my teaching team ALL LOVE LOVE LOVE it! @ Kathy O.- SO FLIPPING WORTH EVERY CENT for the upgrade... NOT disappointed one bit!